The February stamp auction included a series of superb country collections threaded through the British Commonwealth section with Ascension; Bahamas; Cayman Is; Falkland Is; Hong Kong & Rhodesia, selling particularly well. 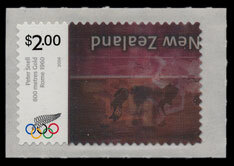 Some unusual New Zealand errors sold well, including this 2004 Olympics $2 lenticular issue with inverted image which achieved £600. The Great Britain section of the auction included a King George V 1934-6 collection of Photogravure issues in over 30 lots, including trials, essays, imperfs, multiples, watermark inverted, etc. 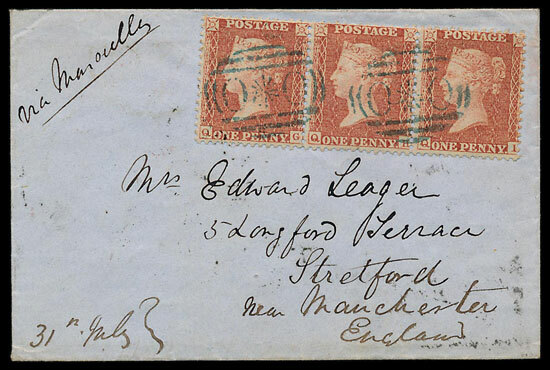 This 1½d watermark inverted block of 6 sold for a spectacular £1,170. 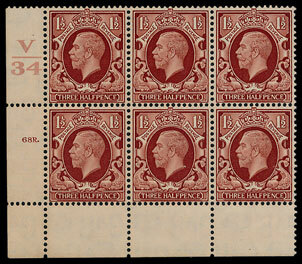 Also in Great Britain a Queen Victoria coln incl an 1840 2d pair sold for £2,880. 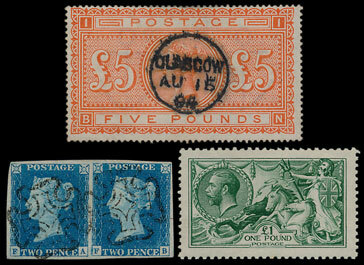 An 1867-83 £5 sold for £1,320 and a 1913 Bradbury Wilkinson £1 sold for £1,320. A charming 1856 letter from the Crimea War with ‘oxo’ cancels sold for £660. 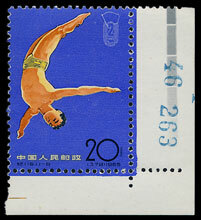 In the Foreign section a Chinese 1965 Games set sold for £564. A Madagascar collection including examples of early imperfs easily exceeded the estimate of £850, selling for £1560.